Experience a combination of traditional style architecture and modern amenities at this 4-star property offering luxurious villas. Private and peaceful, the villa includes a private pool and garden pathway. The rooms provide comfortable beds and the en-suite bathrooms feature a hot shower. A freshly prepared breakfast is a great way to start your day. 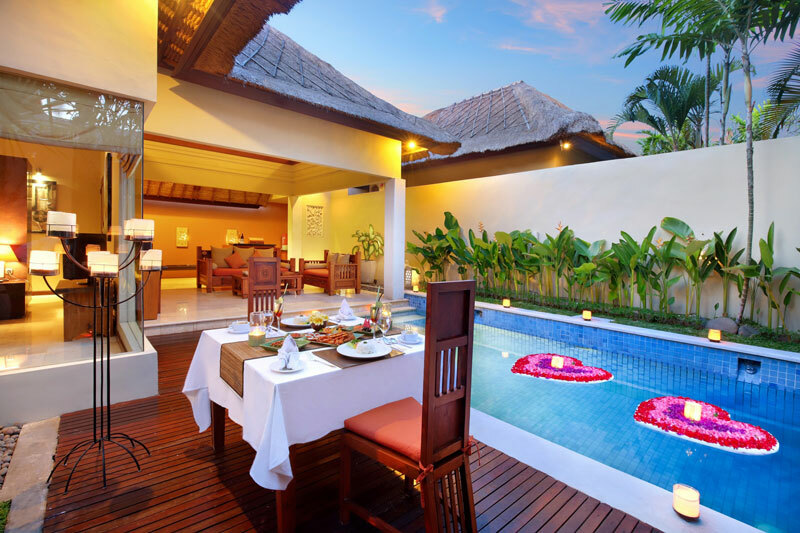 Bhavana Private Villas Seminyak is one of the most impressive 4-star accommodation options in Bali, which will leave you with an indelible experience. Set amidst walled gardens, this property offers a comfortable stay for business as well as leisure travelers, who are looking for a wonderful holiday. It features an indoor pool, along with a private pool in each villa for its guests to rejuvenate their senses and have a relaxing experience. After a refreshing dip, guests also have the opportunity to avail the spa services by the pool. The rooms of this beach property boast of an attractive architecture and modern-day amenities. Further, its warm hospitality and incomparable amenities help offer memories for a lifetime. 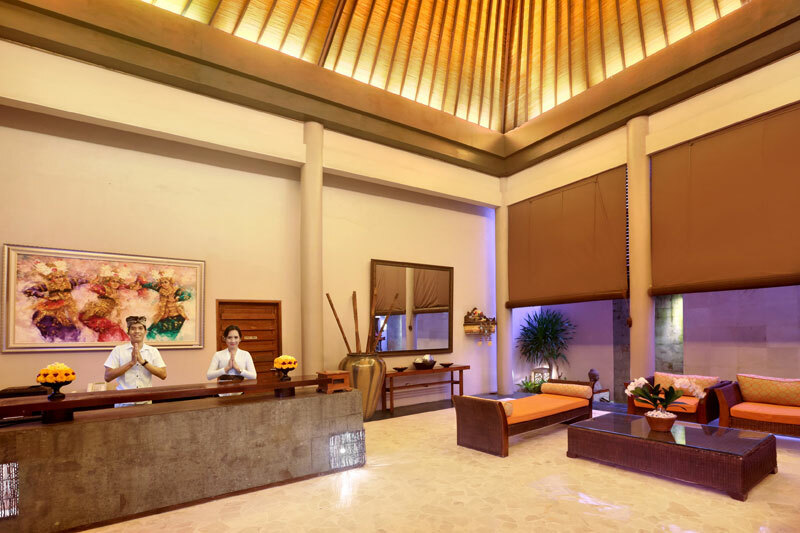 Its proximity to the nearby tourist attractions makes it the right choice to explore the vibrant beauty of Bali. Whether the guests wish to go shopping or dine in some of the best Asian restaurants in Seminyak, everything is easily accessible from this property. Experience various activities like trekking, cycling and dolphin watching. Avail the extensive selection of massage therapies. 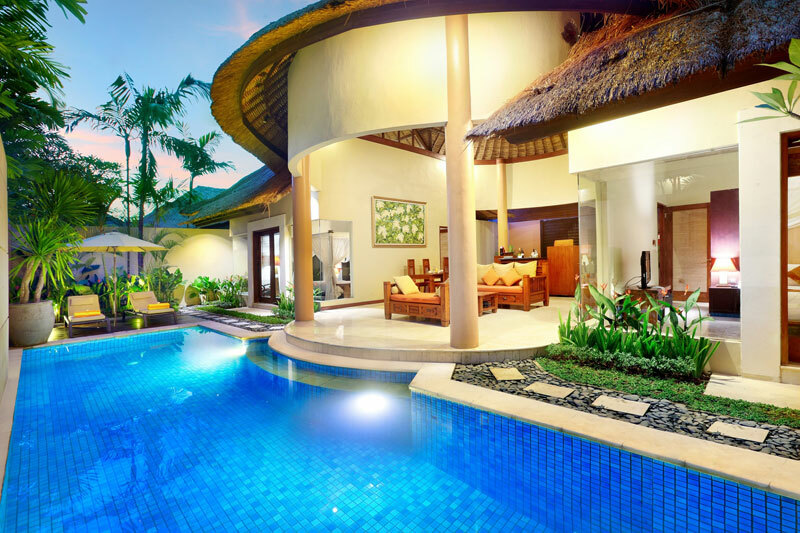 Relax in the private pool of your villa. Have a fun time with your friends in the semi-outdoor lounge. Try different cuisines at Eat Street. Get adrenaline rush by participating in Bali ATV ride adventure. 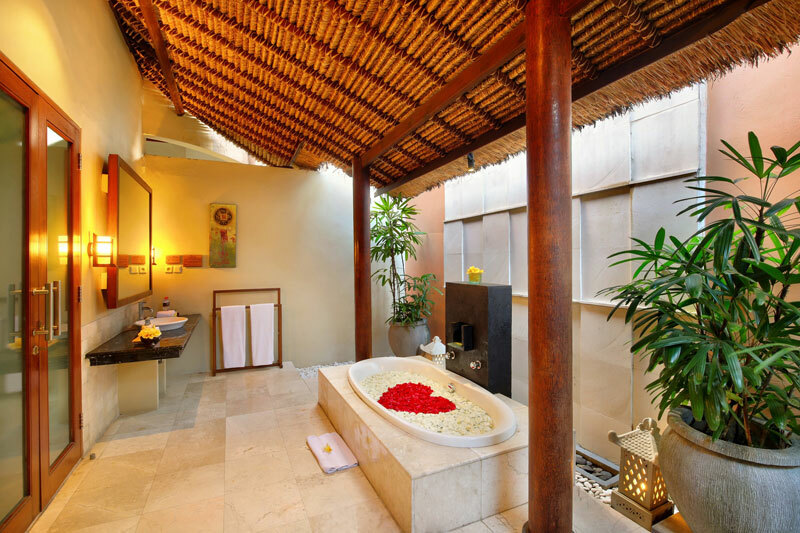 With friendly staff, Bhavana Private Villas has a total of 16 elegant and carefully decorated rooms. 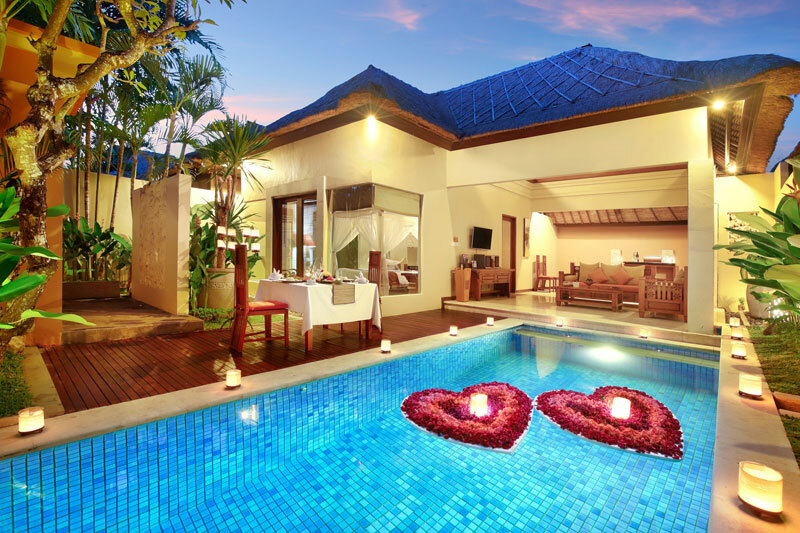 It offers rooms under two categories, including One Bedroom Villa and Two Bedroom Villa. One should choose these villa houses to enjoy easy beach access and spectacular sea views. 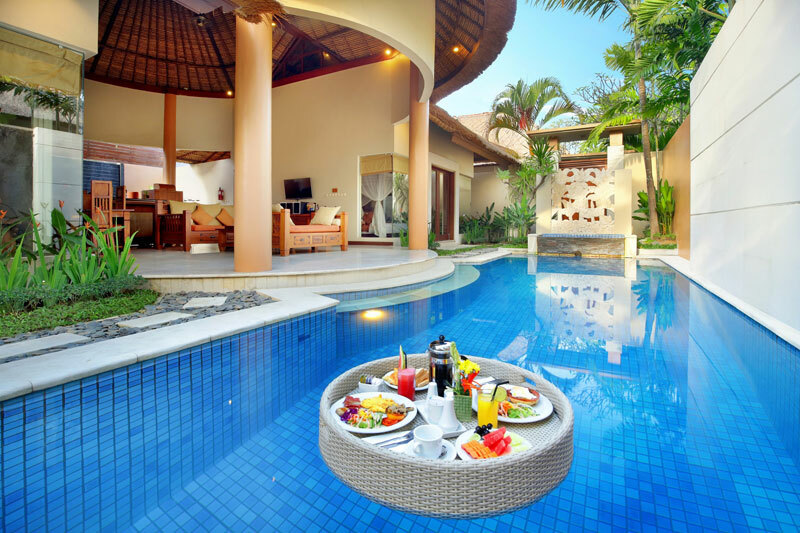 It is a suitable choice for people who are looking for a luxurious experience while availing the various facilities and relaxing in the private pool of their villa. Moreover, these villas come with a spacious balcony offering some mesmerizing views. All the rooms are equipped with LCD TV sets, in-room safe, air conditioner, mini-bars, and tea/coffee makers, as well as complimentary Wi-Fi. Bhavana Private Villas proudly boasts of an indoor pool, semi-open lounge area, a well-maintained garden, and spa services. Further, to ensure a convenient stay the hotel maintains a 24-hour front desk, concierge services, and free Wi-Fi. As a complimentary service, they also provide help in foreign currency exchange. All the hotel rooms are equipped with state-of-the-art amenities, including air conditioner, work desk, cable TV, and mini bar. It also offers an airport shuttle, laundry facilities, housekeeping, and room service. Further, guests are provided opportunities for a sensational spa near the pool, massotherapy, thermotherapy and beauty treatment. During the stay, visitors can also enjoy the delectable meals prepared by the private chef of the villa. 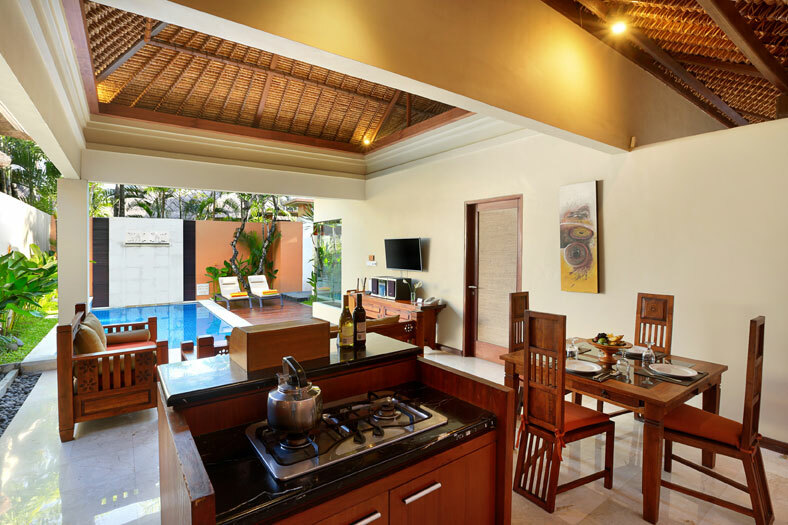 The spacious villas of Bhavana Private Villas Seminyak feature a well-maintained kitchen that is equipped with a tea/coffee maker, cookware, refrigerator, and stovetop. The availability of all these requisites in the kitchen makes this property an ideal choice for family travelers who wish to cook their own healthy food. The accommodation also provides the luxury of a private chef to guests during their stay, who serves the guests scrumptious meals which they can enjoy in the separate dining room of their villa. Guests are also served free continental breakfast. 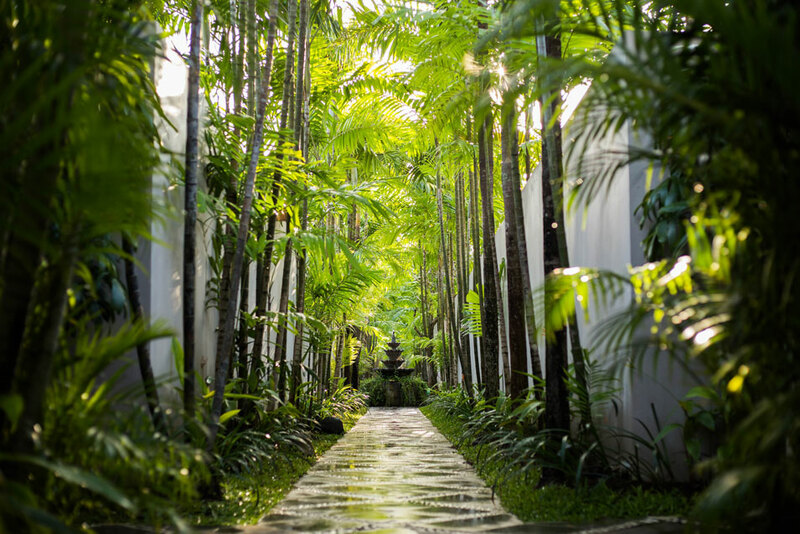 While surrendering oneself to the tranquillity of the place, one needs to let go of all the stress and anxieties and indulge in a range of well-being activities arranged by Bhavana Private Villas Seminyak. Bali rafting, Bali cycling, and Batur trekking are likely to engage one in a total mind-body workout. Also, this accommodation is known for striking the right balance between lavishness with contemporary richness. 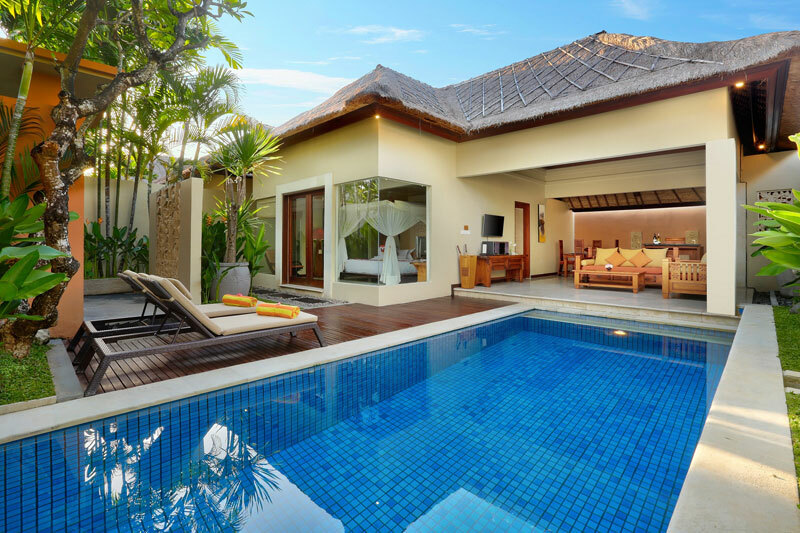 Bhavana Private Villas is located around 25-minute drive from Ngurah Rai International Airport. The Villa offers a variety of cheerful activities ranging from trekking and cycling to dolphin watching. Guests can also enjoy spa, massage and beauty care sessions within the premises. To spend some peaceful time, one can also visit the nearby beaches such as Petitenget beach and Seminyak beach. Yes, the accommodation offers complimentary breakfast service to its guests. What are the offers one can avail in the hotel? 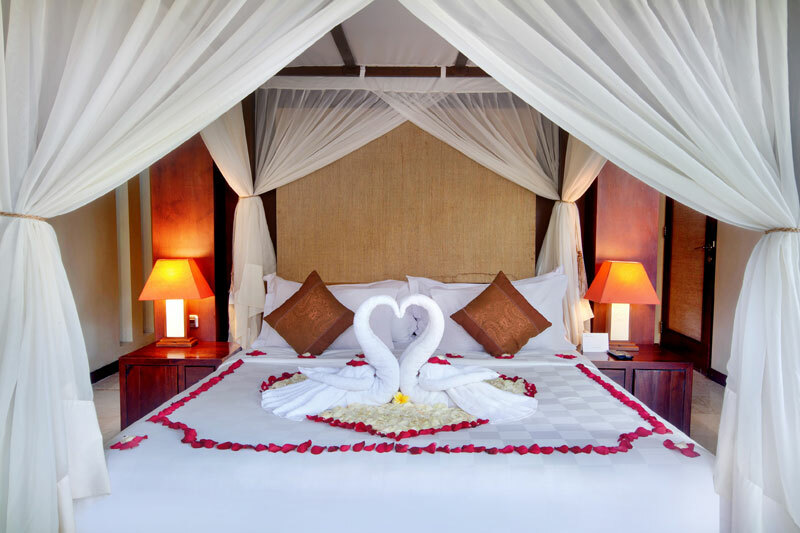 The hotel provides special offers and discounts for couples who are on their honeymoon. They also offer additional services like cake and welcome drinks on arrival, arrangement for candlelight dinner, etc. 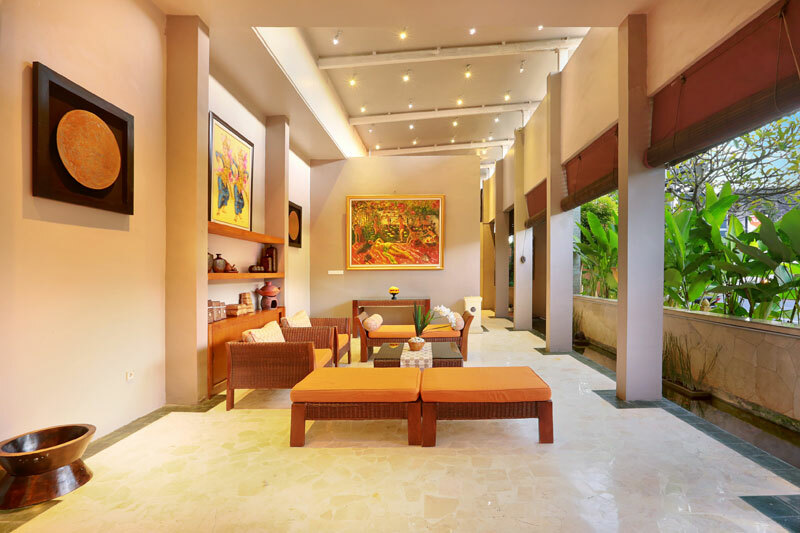 Centrally located in Seminyak, Bhavana Private Villas Seminyak is a perfect place for people who wish to explore the local culture as well as the breathtaking landscape of Bali. Here, experience the beauty of raw nature and find solace while being surrounded by vibrant greenery and soothing ambiance. 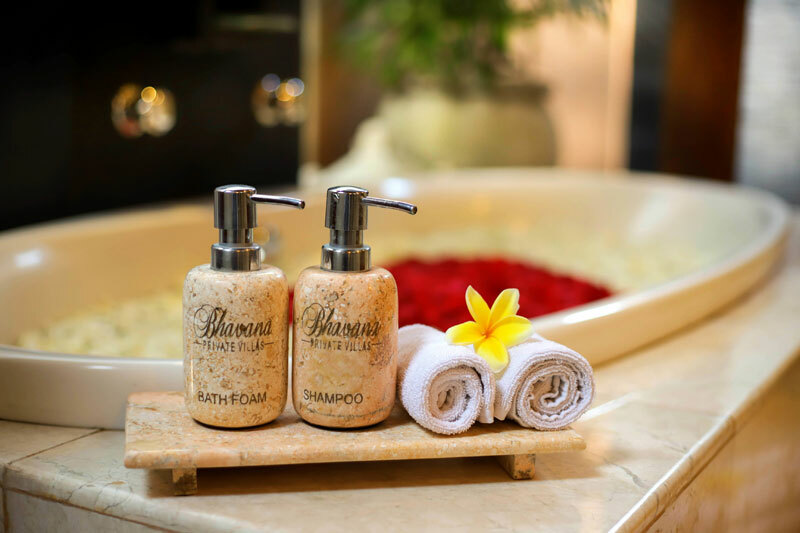 The hotel is also known for offering warm hospitality with friendly staff, which gives the guests a glimpse into the traditional Balinese hospitality. And if one wishes to enjoy a hearty meal in the privacy of their villa, they have the luxury of a private butler who will create anything the guest desires. 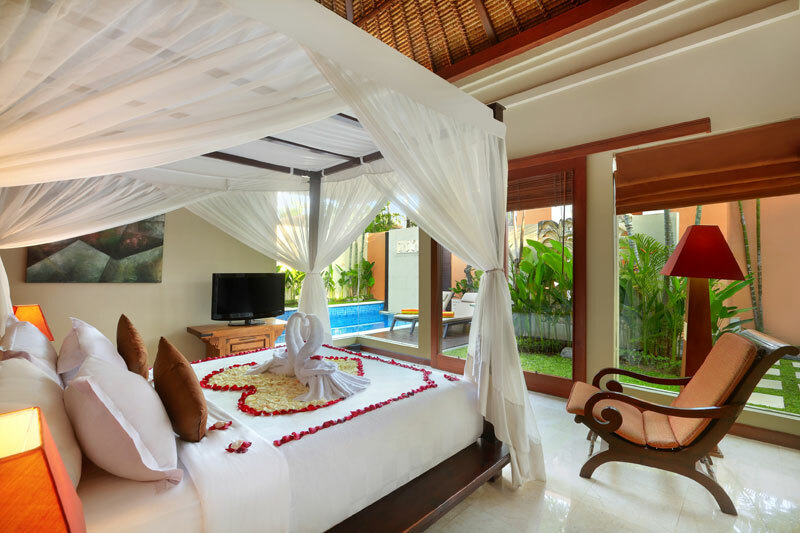 The individually-decorated villas, designed with exemplary traditional Balinese architecture ensure that its guests get an exclusive slice of paradise. 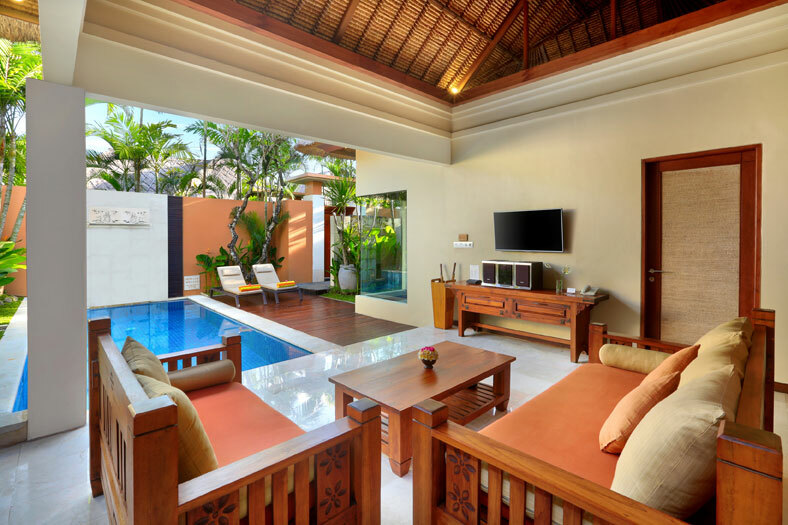 This accommodation is perfect for travelers looking for a lavish experience, as each of these villas comes with a private pool and equipped with a plethora of facilities.